Отель Mysore Homes находится в городе Mysore. 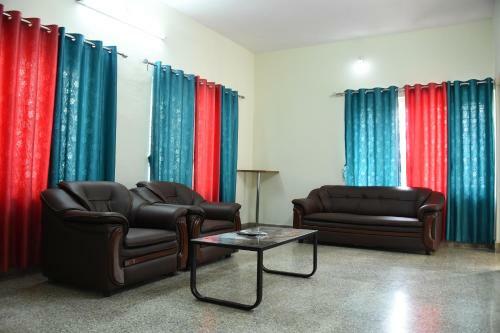 Featuring free WiFi throughout the property, Mysore Homes is a holiday home, located in Mysore. The property is 2.7 km from Mysore Palace and free private parking is featured. The kitchen has a fridge.